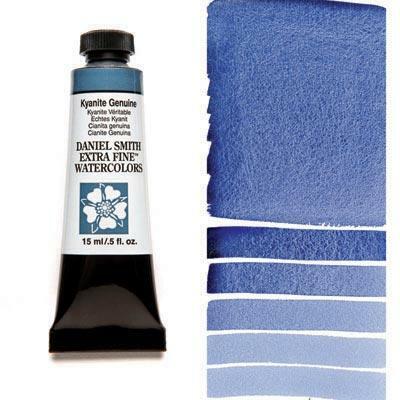 his exclusive DANIEL SMITH color is a stunner – a rich blue-gray with impressive granulation and dazzling, glittery sparkle. Its name comes from the Greek word kyanos meaning dark blue enamel. Thought to promote serenity, concentration and mental clarity, this shiny, translucent gemstone is used for jewelry and heat-resistant ceramics, and now for a watercolor that will add amazing texture and visual excitement to your work.